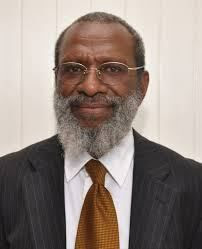 Papua New Guinea Shadow Attorney General Mr Kerenga Kua said the government should stop this charade and declare itself bankrupt. By definition an entity is deemed bankrupt when it is unable to pay its debts as and when it falls due. Mr Kua said, “The recent leak of a government email is so shocking and the people of Papua New Guinea who are already concerned and affected by the decline in employment, business opportunities, not to mention the sad state of basic government services should now brace themselves for the worst. “Government spending since the O’Neill Government took office has been so out of control that it has been struggling to pay its public service bill of K150 million every fortnight. Wages is so predictable and easy to budget for and pay in a timely manner as it is part of the recurrent budget. “The situation is so bad the government has resorted to selling treasury bills to raise enough money to pay its huge public service payroll each fortnight. Very soon even Treasury Bills will saturate the market and there will be no future takers. “I ask Treasury Secretary Mr Dairi Vele who has seen fit ‘to shoot the messenger’ who leaked the email where he will find the next K150million for the next fortnight. “I also ask Mr Vele to clarify if there has been a typographical error and it is in fact the Debt Servicing Reserve Account (DSRA) and not DRA as the email suggests. “The seriousness of our demise would be when government uses our debt servicing reserves and forces us to default on our debt servicing obligations. “As a senior public servant Mr Vele should not be playing politics. Every public servant has a duty to the people of this country in serving the government of the day with integrity and honesty and not through deception or smoke and mirrors. “Mr Vele should resign for being part of this charade. We all know there is no cashflow and the lack of transparency in the process over the years does not augur well for this country’s 8 million people. “If he does not resign he should be referred to the Ombudsman Commission for his complicity in bankrupting PNG.